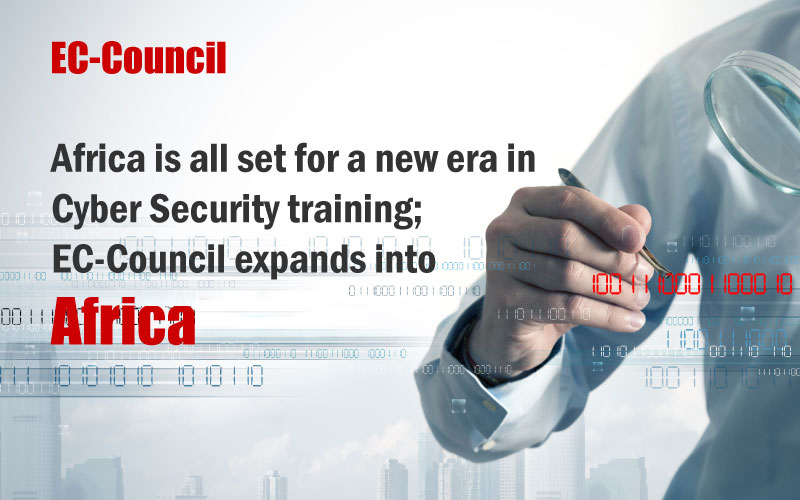 The US based Cyber Security major; EC-Council has furthered its operations on Information security trainings and certification in the African countries. 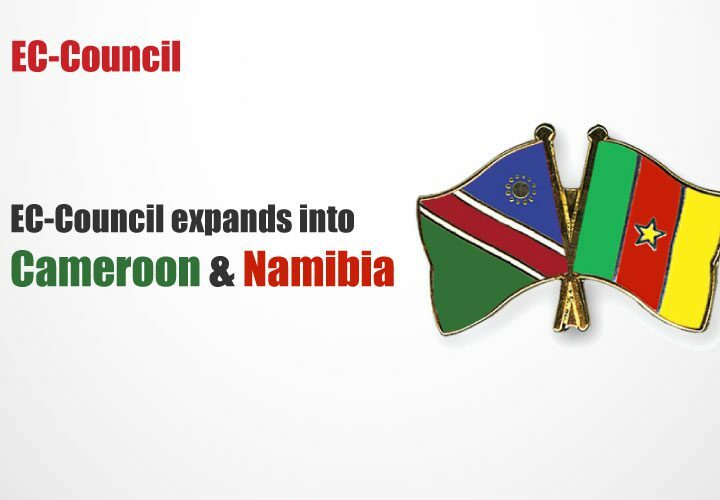 The Cameroon based Essoka Group and Namibia based Ilamho Information Technology Institute join as the new partners of the 700+ partner fraternity of EC-Council. Torque IT, one of the major training partners of IT giants Microsoft, Red Hat and others is granted exclusivity for offering the coveted C|CISO training in the major South African cities of Cape Town, Johannesburg, and Pretoria. Paediatric Oncology speciality CCHE 57357 signs agreements with EC-Council to become its Accredited Training Centre. Added to these, the three consulting firms, Three Quality Service, Kenya; Security Architectural Consult, Ghana; and Jenslaw Data Professionals Ltd, Nigeria sign up agreements with the InfoSec leader becoming its Accredited Training Centres for providing cyber security training and certification. 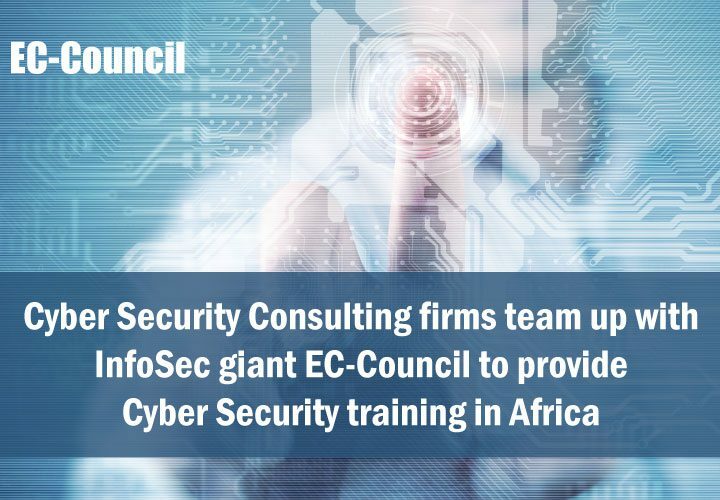 In what seems to be a shrewd move of global expansion, EC-Council the cyber security certification major has granted partnership opportunities to a host of organisations in the African continent. With its headquarters at Albuquerque, New Mexico EC-Council holds a partner network of more than 700 training centres that provide specialised training solutions on cyber security including the Americas, Europe and Asia. This expansion into the African continent opens new avenues of collaboration. With a surge in cybercrime and an increase in opportunities in the cyber security domain, aspirants see a promising future in cyber security education. Some of the African organisations who joined hands with EC-Council include the Cameroon based security service provider Essoka Group which is set to provide services from June 2016 and the Namibia based Ilamho Information Technology Institute has already started in March 2016; both the organisations are all set to provide cyber security training in their respective dominions. Essoka Group is a well-known security services provider in Cameroon, providing physical and electronic security. Torque IT, one of the major training solutions providers in Africa is all geared up to offer cyber security training services for the coveted C|CISO certification by EC-Council. The C|CISO program was launched to train and develop skill at the leadership level in the InfoSec domain. The C|CISO program became a huge success in the U.S., after which it was launched in India in 2014 where it received accolades from the industry. In 2016, the C|CISO program is moving into Africa with Torque IT all set to provide leadership training to the incumbents from April 2016. The training will be provided in the Torque IT centres located at Cape Town, Johannesburg and Pretoria. In the first of its kind partnership, the Children’s Cancer Hospital Egypt 57357 also known as CCHE 57357 has entered into a strategic partnership with EC-Council in March 2016. 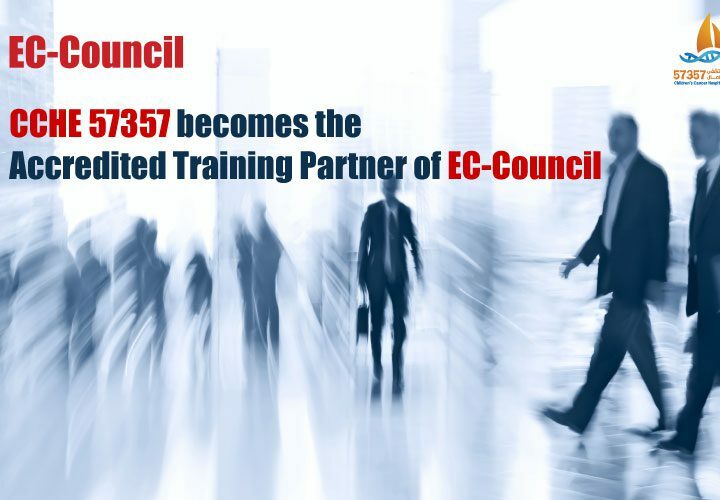 CCHE 57357 has signed agreements to become the Accredited Training Partner of EC-Council. Together, the Information Security giant and the pioneer of Paediatric Oncology, both the organisations are working together in bringing about a difference in the Information Security arena in Egypt. The CCHE 57357 is a non-profit organisation working in the area of Paediatric Oncology. CCHE 57357 happens to be the largest hospital in the world specialising on Paediatric Oncology. This partnership between the two organisations opens a new avenue of opportunities for cyber security in medicine and healthcare. EC-Council will be providing training to professionals of CCHE 57357. Besides these, three consulting firms have signed agreements to join EC-Council’s partner network. The consulting firm, Three Quality Service, Kenya; Security Architectural Consult, Ghana; and Jenslaw Data Professionals Ltd, Nigeria are the three new consulting firms which have joined the 700+ partner network of EC-Council in May 2016 and June 2016 respectively. With these strategic partnerships across the seven pioneer nations of Kenya, Ghana, Nigeria, Namibia, South Africa, Egypt, and Cameroon of the African continent, EC-Council is moving in leaps and bounds in the Dark Continent.